Waldorf Ford sent 996 contracts to Ford Motor Credit Company in 2010, putting them in the Top 100 volume dealers in the country. 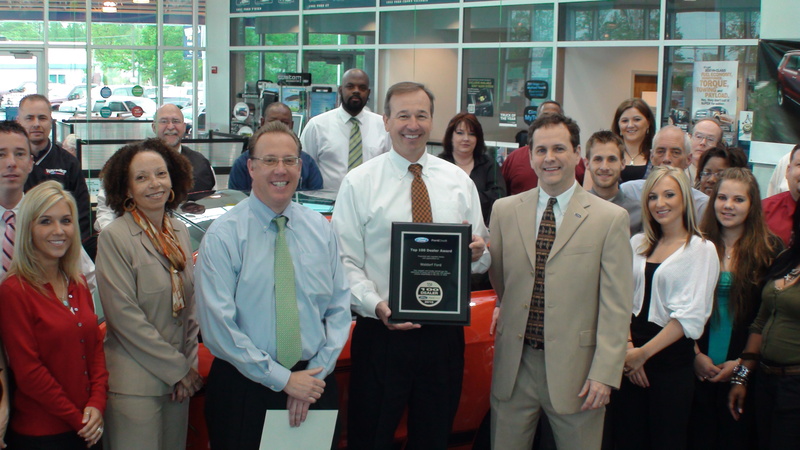 Waldorf Ford is the only dealer in the Maryland, Virginia and Washington D.C. to receive this award. Waldorf Ford is located at 2440 Crain Highway, Waldorf MD. The sales and service the phone number is 301-843-2400. Ford Motor Credit Company LLC has provided dealer and customer financing to support the sale of Ford Motor Company products since 1959. Ford Credit is an indirect, wholly owned subsidiary of Ford. For more information, visit http://www.fordcredit.com.